If you have trouble making your iPhone’s battery last a whole day, read on! In this tutorial we will be showing you how to maximize your iOS device’s battery. This is quite helpful if you’re an iPhone power user that uses your iPhone throughout the day. This tutorial requires an iOS device running iOS 5.0 or higher. Push Notifications is an awesome iOS feature, but it’s a serious battery hog. While you may not want to completely turn off Push Notifications, you may want to limit the amount of applications that use Push Notifications. We will show you how to do this below. To start, open the Settings app on your iOS device. Once the app has completely launched, look towards the top of the screen, where you will see an option labeled Notifications. Tap on this option. You will now see a list of applications on your iOS device that utilize Push Notifications. If you see an application whose push notifications you would like to disable, tap on it. Look towards the top of the screen. You will see an option labeled Notification Center. Make sure this option is off. Now, look towards the center of the screen. 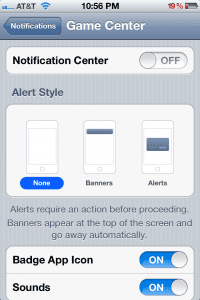 You will see an option that is labeled Alert Style. Make sure that this option is set to None. If you’re using a 3G iPad or an iPhone, you may not always need to use cellular data. This may happen if you are only using your iPhone for SMS and talk or are connected to a Wi-Fi hotspot. If you would like to disable cellular data, open the Settings app on your iOS device. Once it has completely launched, scroll down until you see an option labeled General. Click on this option and scroll down until you see an option labeled Network. Tap on this option. Look towards the top of the screen. You will see an option labeled Cellular Data. 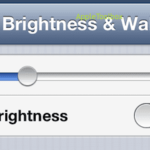 Make sure this option is turned off by tapping on the slider that is located to the right-hand side of the option. 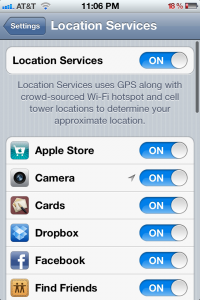 Location Services lets your installed apps know where you are located via Wi-Fi and GPS. 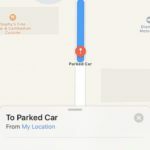 When apps utilizing Location Services are running in the background, you may experience major battery drain. Turning off Location Services is a great way to conserve battery life. Disabling Location Services is simple! Simply open the Settings app on your iOS device. Once the app is open, look towards the top of your screen. You will see an option labeled Location Services. Click on this option. You will now see a list of the installed apps on your iOS device. You can turn off all location services by turning the slider labeled Location Services to the Off position. If you would like to turn off individual apps, scroll through the list of apps and select those apps whose Location Services you would like to disable. 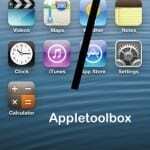 Thanks for reading this Apple Toolbox tutorial! Check back soon for more iOS and OS X related content. Message when downloading pics off iPhone to computer is ‘an error has occurred while attempting to import. Either the source is unavailable or destination is full or read only. Can you explain? My iPhone camera shows only black–stuck shutter? Is there anything I can do to fix it?